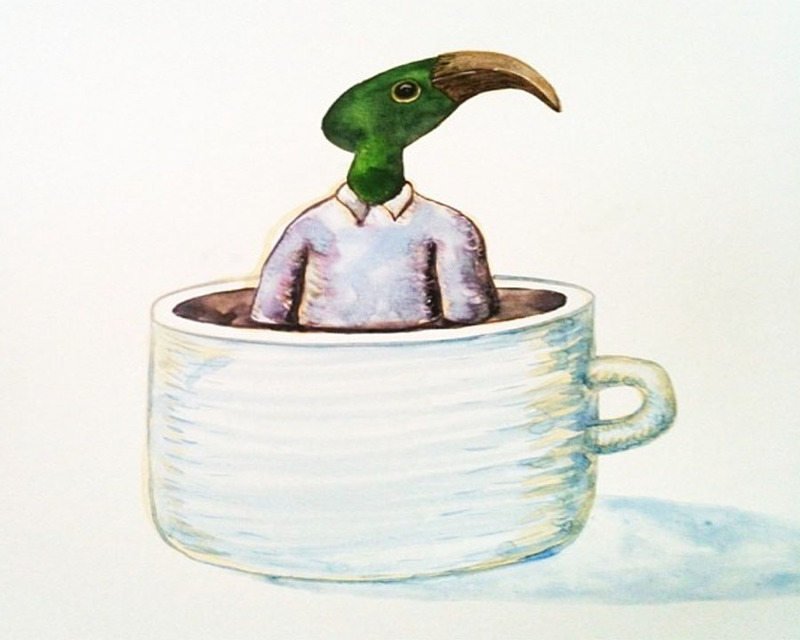 The artist who made this drawing sent it to me preceded by the following words: Please find attached a bird in a cup. Tell me what you think. Miguel. When I saw it for the first time, I thought this bird was a rabbit wearing a kind of Phrygian cap. I never get things right first off. Maybe you have the same problem. It’s strange that I should see a rabbit where everybody else sees a bird. No less strange is the story of the Phrygian cap itself, which in Roman times were a symbol of liberty. What’s more, in a symbolic act, Julius Caesar’s assassins decided to bear one aloft. And all this without mentioning that these caps seemingly originate in the region of Phrygia, in so-called Asia Minor, today Turkey, and that the unforgettable Marianne, by Delacroix, the incarnation of the French Republic, also bore a Phrygian cap. And today, there are several countries and regions that feature this cap as a symbol of liberty. That said, there is no evidence of a rabbit ever having worn one, but, as the motto on the state flag of Bahia notes, it is through difficulty that things emerge (Per ardua surgo). I guess all this, at the end of the day, is the same as when my boss sees things white, and I see them black, except that instead of black and white, we are talking here about a bird and a rabbit. (1). On March 31, 2014, I had the opportunity to attend a class given in Singapore by INSEAD lecturer Neil Bearden in which he spoke about what is known as Aspect Seeing, the ability to perceive the same thing in different ways. 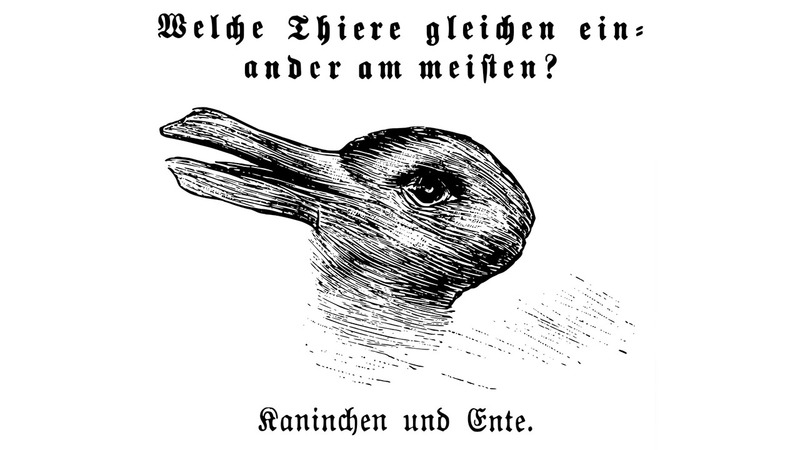 He illustrated his talk with the celebrated image, below, of a duckrabbit used by Wittgenstein in his Philosophical Investigations to demonstrate the problem. The duckrabbit can be seen as either a duck or a rabbit. Transferring this image to the world of language, the outcome is that it seems it would be difficult to affirm that something like The Meaning of a thing really exists, because things can usually be interpreted in different ways. Until that time, I had never seen the drawing of the duckrabbit. I asked the author of the drawing that accompanies Per Ardua Surgo, Miguel Panadero, if he had seen it before, to which he replied in the negative. This raises the inevitable question as to how often we display our ignorance by not having the least idea of what things are really about or have been about. – Now you really can all go to hell!!! says my Boss’ boss. Surely one of the most difficult challenges we face each day is simply presenting things as they are, without our perception of them getting in the way. It’s pretty much the same with writing style. There was a time when I loved recognizing the penmanship of a text’s author. It’s Proust writing, this is Scott Fitzgerald, no, Hemingway… But these days, I find myself appreciating what is being said much more than enjoying any clues as to who is saying it. My judgment would be that this is a form of transparent justice with respect to the written object. I say this in light of Ruskinland, recently published by Financial Times journalist Andrew Hill, who expresses to perfection my thoughts above. 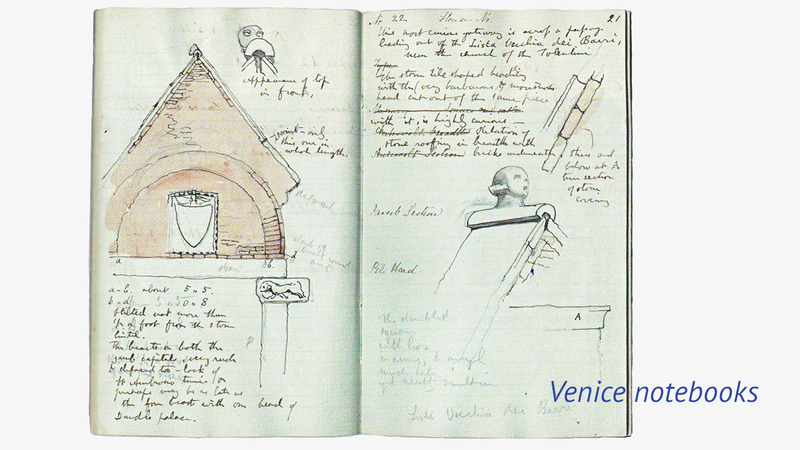 His goal in the book is to make us see why the thinking of John Ruskin (who I called The Napoleon of Brantwood) is still needed today (page 26), and throughout the book it’s as though Ruskin himself were speaking to us, when evidently this is not the case. 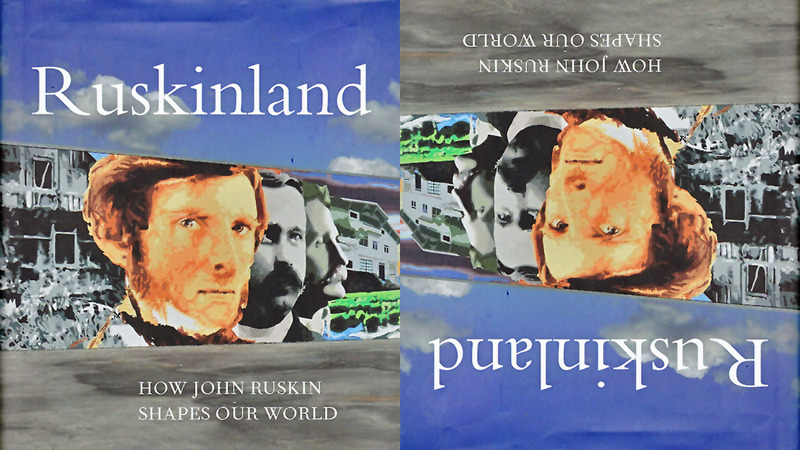 Ruskinland is the perfect enticement to read Ruskin. What more could one ask for? The greatest thing a human soul ever does in this world is to see something, and tell what it saw in a plain way. Hundreds of people can talk for one who can think, but thousands think for one who can see. 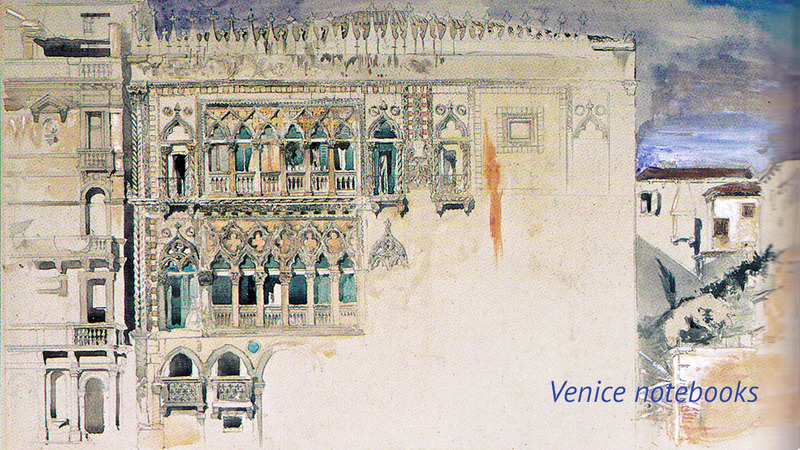 To see clearly is poetry, prophecy and religion, all in one. PS: In October 2017, while still ignorant of Ruskin’s work, I published a collection of stories called Dibugrafías with the painter Miguel Panadero. One of them, Escalenes, discusses the virtue of seeing clearly in the dark. I leave it with you in the hope it clears a few things up…!!! A triangulated head is clearly a mystery, because the number three has always been a mystery. If the three sides of a triangle are equal, we call it an equilateral triangle. The triangle is isosceles if only two of the sides are equal. And it is scalene if all three sides are unequal. Everybody knows, however, that these are just the certainties of geometry, because in the world out there, everything is unequal, scalene, and that’s without bringing heads into it. Now things seem a little clearer. The virtue of being able to see clearly in the dark seems more like a virtue of geometry; let’s face it, not all heads are of equal capacity, but still none of them see clearly. Or does anybody know of a head that can see beyond the darkness? If we move on from geometry to arithmetic, we have addition. 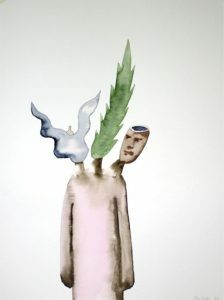 The addition of a head, plus another head, and another, might this help gain clarity? At a time when thought seems to have been reduced to the simplism of a tweet, a slogan or a mantra, which is then repeated ad nauseam throughout the social networks, it’s not easy to find executives with the ability and confidence to think issues through on their own terms and who are then capable of distilling their knowledge and experience, the better to share it. 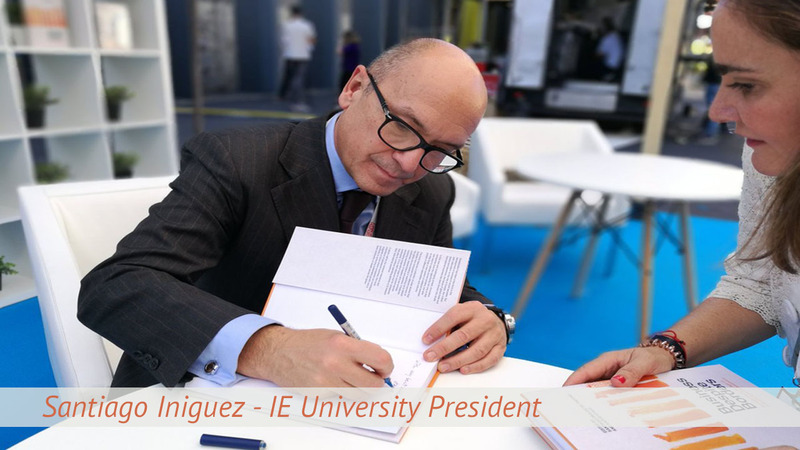 One of those happy few of whom Henry Thoreau spoke is Santiago Iniguez, Executive President of IE University. 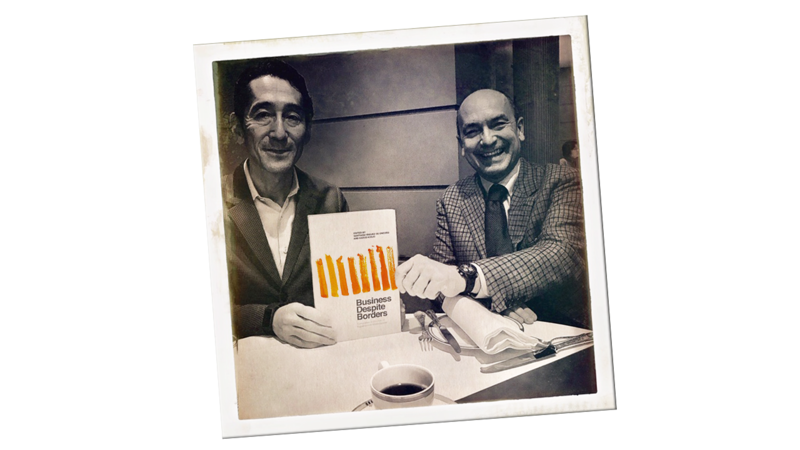 Today saw the launch of Business Despite Borders, by Iñiguez and Kazuo Ichijo, Dean of Japan’s Hitotsubashi ICS (Graduate School of International Corporate Strategy). 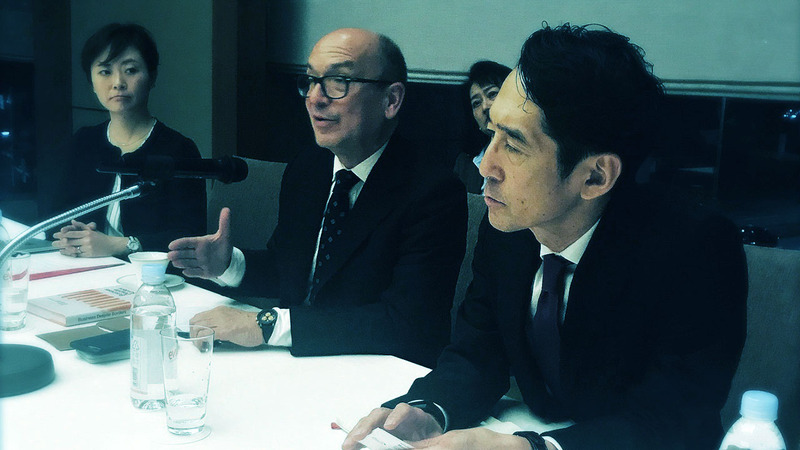 The event took place at the Palace Hotel in Tokyo and was attended by a large group of leading CEO´s and Executives from some of Japan’s biggest companies such as Nissan, Mitsui, and Otsuka pharmaceutical. 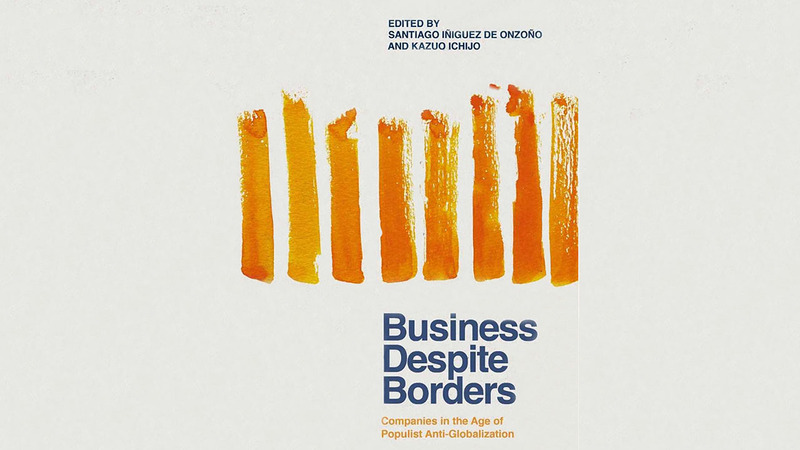 Business Despite Borders is a collection of essays by a diverse range of authors on the major issues of the day, among them The Unconventional Internationalization of Huawei, by Yufeng Zhou, Ji-Ye Mao and Ziliang Deng; How Companies and Governments Should Adapt to Technological Disruption by Manuel Muñiz; and The Nightmare of Populism and the Hopes Brought by Technology by Ichijo and Iñiguez, with Peter Lorange. Iniguez holds firm to his belief that the best antidote to the nationalism and populism of our times is to do good business. His tireless defense of education as the best weapon against most of the ills afflicting society today has earned him the sobriquet of the Mayor of Education City, a reference to his oft-quoted comment: “It’s very cold out there, outside education city.” His work has been widely acknowledged and he was the first non-American to chair the AACSB, while Poet´s & Quants founder and editor John Byrne called him Europe’s Business School Maverick when Iniguez was named 2016 Dean of the Year, the first European to achieve said award (I recall John Byrne being the first to call Iniguez The Mayor of Education City, but I might be wrong, as is the case many times). Iñiguez is always on the go, spreading the word about education around the world, which is why, a few years ago, when I made a short video about him, I was reminded of Evelyn Waugh’s When the Going Was Good, and in particular, a chapter called Globe-trotting, whose title I borrowed for his video Globe-trotting flying in a balloon. 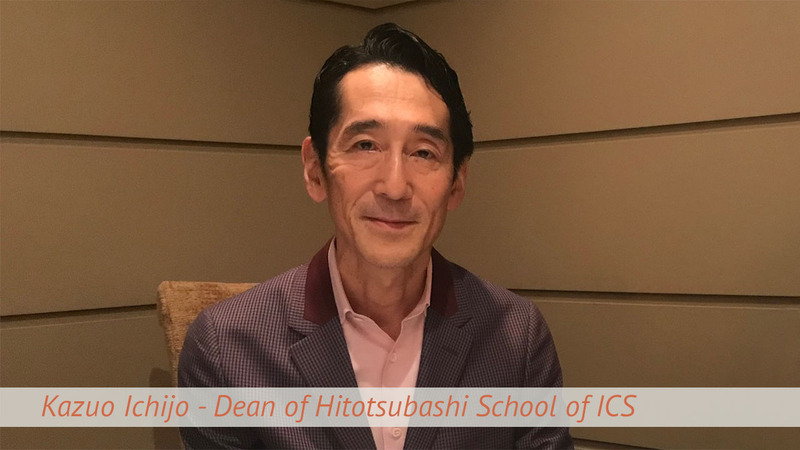 From Spain to Japan, and just about everywhere in between, for Iniguez, education has no borders. P.S. : Other books by Iniguez are The Learning Curve (Also available in Chinese as 商学院); and Cosmopolitan Managers. As you know, the Chinese Zodiac, also known as Sheng Xiao (生肖), is based on a twelve-year cycle. Each year in that cycle is related to an animal sign. These signs are the rat, ox, tiger, rabbit, dragon, snake, horse, sheep, monkey, rooster, dog and finally, the pig. AIl is calculated according to the Chinese lunar calendar. Since this coming year is the year of the pig, we all have to find out what is the relationship of our own animal sign, the snake in my case, with the pig, in order to figure out how our life is gonna be this year. It seems the beneficial pig effect on the serpent will be reflected in my revenues and some good luck in any new ventures I might undertake. Will I strike it lucky? Let’s have a closer look. I suppose living a life can be compared to writing a novel. In theory, we have a whole life ahead of us: a pile of blank pages we can fill with words. People who write novels or who live supposedly successful lives always say how easy it is: it’s just a question of getting down to it. They give the impression they’re always headed in the right direction and that everything they do has, or had, a goal or a purpose to it. Does the pig, or any of the other Chinese Zodiac animals, give a hand to them? In contrast, I have to confess that I have a terrible sense of direction, and whenever I go somewhere, be it on foot, by motorbike, or by plane, I always think I am headed north, i.e. in the right direction, even though I might be going south. I really have tried to get my head round this, but with little success. I was born in Brussels to a mother from the Canary Islands and an Ecuadorian father, so I did wonder if my family’s ‘Southern Roots’ had disorientated me to the extent that I didn’t even know where the centre was any more. That’s the way things are; I’m not going to go into why I prefer the north because of my complex about the south, or because it’s more developed, or whatever… I doubt the pig can give me any directions! If each place is its own centre, the same goes for each life, and the same goes for maps; their centre is relative: it depends on the country where you buy them. If you are in China, the centre of the map branches out from there, and if you are in Mali, the same principle more or less applies. In point of fact, when we examine our lives and place in the great scheme of things ours is the perspective of a mosquito. When we talk about life, and not some auto-life, what do we really mean? Let’s dig a little deeper. I picture a huge GoogleBio focusing on different lives. Like the countries listed on Google Earth, when our lives are seen from the perspective of a roll call, they all look the same; any differences are simply details. These details may be important for those concerned, but they are so trivial, so tiny; barely changing our mosquito’s perspective, that without wanting to, we come up against the limits of existence; with that unbearable lightness of being. I’m saying this because there is something unreal about this vivre à l’essai, this putting our lives to the test all the time: we can do something, or do the complete opposite without it affecting our existence one iota. ‘Can’t we do anything right (1)?’ , Goethe once asked. Well, I’m afraid we can’t. We don’t do anything right, and worse still, we have very little room for manoeuvre. What ill luck we have, my dear pig!!! It might seem trivial, but the day I was given my Chinese name was a momentous occasion. Not so much for the event itself, when I didn’t really take it in, but for the significance it took on later. Things still existed, even before they had a name, but they were somehow different; I would say their existence was diminished. So, when they called me Táng Mènglóng (唐梦龙), I somehow felt that I had acquired a complete existence again, perhaps because this baptism created another way of existing in the world, and possibly reflected how I had changed over the years. Maybe it wasn’t even that: perhaps it merely confirmed what I had always been. It’s at this point where I begin to have doubts, and, going back to the subject in question, I’m never sure about the extent to which our decisions make any differences to our lives. Probably none. Due to the peculiarity of Chinese writing, and also the fact that the language is replete with homophonic words, the characters chosen for names are vitally important. A good example is the word 梦 (meng: to dream) which can be spelt (meng): meaning ‘the first month in a season’. It also means ‘older brother’, but more importantly, it is also the first character of the name of the 4th-3rd century BCE Confusian philosopher Mencius (孟子 Mengzi) . The fact my teacher chose a character which refers to a dream world imbues my name with an oneiric, idealistic nuance, which it wouldn’t have otherwise. Moreover, this character 唐 (Táng), which would be my new surname, also connotes the Tang dynasty (618-907 CE), considered the most glorious period of Chinese rule. The third carácter 龙 (Lóng) means ‘dragon’, which is one of the symbols of China. This, coupled with the fact that these three characters in Chinese phonetics sound good together, means that when I say my name I am often complimented, given that I am the dragon which dreams of the Tang dynasty. At the same time, the name also conjures up the Ming dynasty writer Feng Menglong (冯梦龙), who lived between 1574 and 1645. 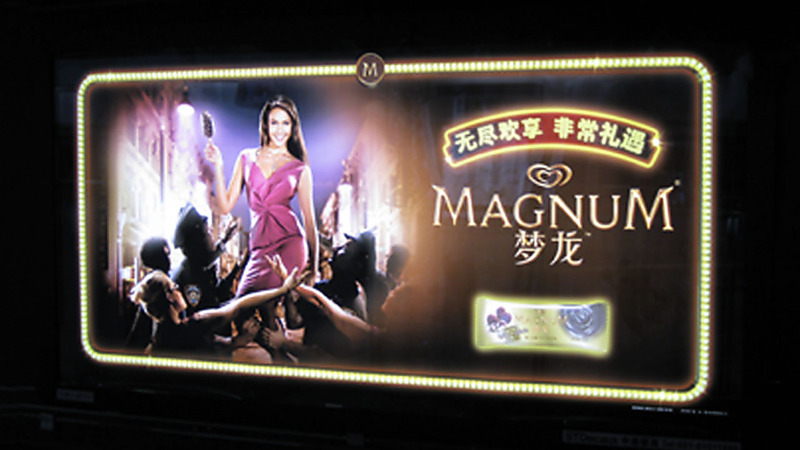 That said, an ice cream called Menglong (梦龙) has become popular in China, as a result of which people are increasingly likely to say “Ah, like the ice cream!” when I tell them my name. I can’t do anything about it. If you look at the photo, you can see the problem. Spanish friends say my Chinese name Menglong sounds like the word “melón“, and I suppose at the end of the day, that’s what it boils down to. “A bit like a melon” means a “bit nutty” in Spanish, and that’s not far from the truth. Needless to say, that wasn’t how I imagined things would turn out. C’est la vie. Dear pig, can you still give me a hand? (1) “Sage, tun wir nicht recht?” is Goethe’s original quote. 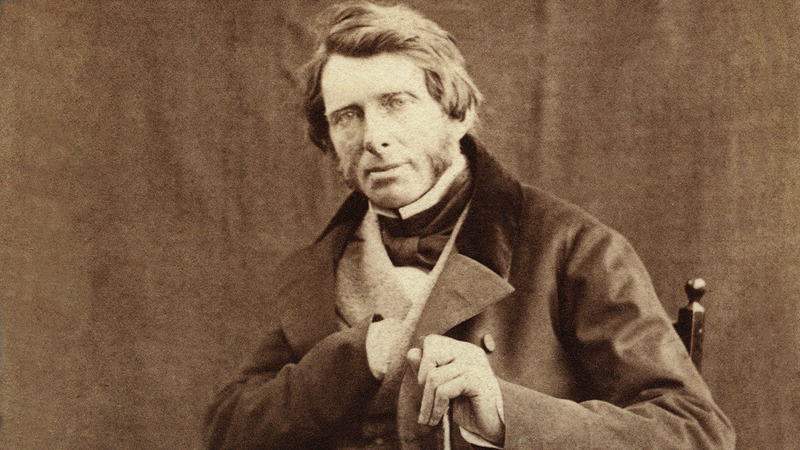 It would seem Ruskin is refusing to lie still in his grave: he admitted that the essays of his book “were reprobated in a violent manner… by most of the readers they met with” when they were first published in Cornhill Magazine, but then noted sarcastically, à la Chesterton, when they were published in book form: “So I republish the essays as they appeared. One word only is changed, correcting the estimate of a weight; and no word is added” !!! (The bold letters & the exclamation marks are mine!!). In conclusion, all I can add is that Unto This Last is a very good read and is overdue for rehabilitation, as Andrew Hill argues. P.S. : Unto this Last had such an impact on Ghandhi´s philosophy that he decided not only to change his life according to Ruskin´s teaching, but also to publish his own newspaper, from a farm where everybody would get the same salary, without distinction of function, race, or nationality. 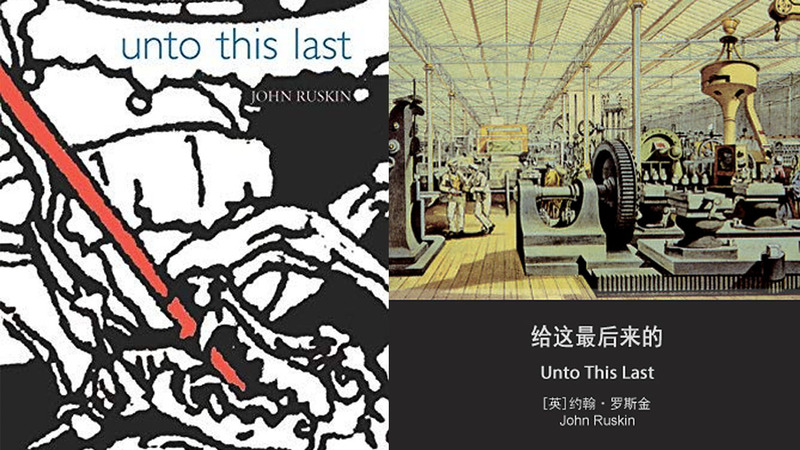 Unto This Last was translated into Chinese in 2011 as 给这最后来的 (Foreign Language Teaching and Research Press). I like eating, drinking, smoking; I really do. Needless to say, I also like conversation, discussion, laughter and a long etcetera of other things, but what really matters for me, what I really like doing, is sharing all these activities. To be honest, I don’t even like going to the bathroom alone, although one must, like a few other things, because after all, people talk. Leonor gives me no credit for studying all those languages, Chinese, Japanese, because I enjoy it, as simple as that. I tell her she’s wrong and that what I really like is smoking, drinking and suchlike and that the studying is basically self-improvement, and that doing so does require an effort, and a hell of an effort at that. But that’s pretty much where she and I are at. I should point out that Leonor is my mother-in-law. 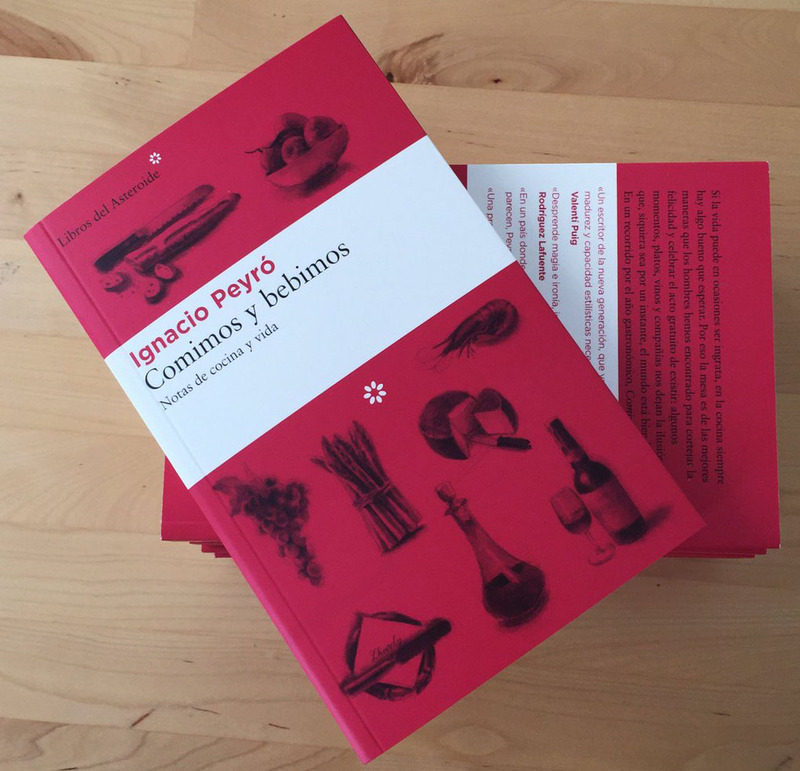 Anyway, to the point, and getting back to the pleasures of eating and the good life in general, I’ve just read Ignacio Peyró’s latest book, Comimos y bebimos, subtitulado Notas de cocina y vida, (We ate and we drank: notes on cooking and life) published by Libros del Asteroide. P.S. What some writers might call praise, I don’t. So let’s say it: Ignacio, you’re almost better in book form than in person. And that goes for Pedro Letai as well!! !